The first details of the Apex Legends Battle Pass rewards for Season 1 have arrived, and we've got information covering cost, rewards, skins, cosmetics, and new legend Octane. The Apex Legends Battle Pass rewards are finally here, after what feels like a very long wait. 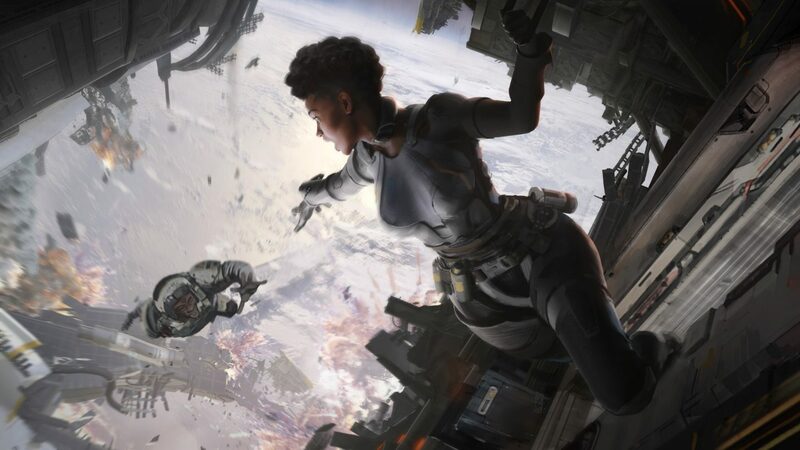 Season 1 has been teased for weeks, but despite saying the Battle Pass would arrive in March, Respawn Entertainment hadn't offered much information until now. Happily, the latest details now show off the 100 new Battle Pass rewards coming to Apex Legends in Season 1. Keep reading to learn more about the Battle Pass cost, skins, cosmetics, and when fans can expect Season 1 to kick off. First things first — the Apex Legends Battle Pass for Season 1 will cost 950 Apex Coins to purchase. Players who want to get a jump on the competition can also purchase the Battle Pass Bundle for 2,800 Apex Coins and unlock 25 levels of the Season 1 rewards instantly. As for how the Apex Legends Battle Pass works, things should be pretty familiar to fans of other battle royale titles. The Battle Pass features 100 levels and 100 rewards. Each time players gain a level, they unlock the next reward in the line. If players stay active through the entirety of Apex Legends Season 1, they'll unlock several exclusive cosmetic items and skins for weapons as well as characters, like the new Legend known as Octane. There are over 100 different rewards that players can earn through the Apex Legends Battle Pass. The official Apex Legends website has a complete breakdown of each of these rewards, but generally speaking, players can expect to earn Apex Coins, skins for weapons, Legends voice clips, and XP bundles. As they get further down the path, players will start to unlock Apex Packs, and at level 48 will begin earning rare cosmetics and skins. Here's the full list of Apex Legends Season 1 Battle Pass rewards. As a bonus, anyone who plays in Apex Legends Season 1 will get free rewards in the form of one Wild Frontier Legend skin, five Apex Packs, and 18 Wild Frontier Stat Trackers. And, of course, they'll get the chance to check out new Legend Octane, whose jump pads started appearing in-game last week. Though it's been a long wait, the time has finally arrived: Apex Legends' first season kicks off tomorrow, Tuesday, March 19 at 10:00 a.m. Pacific time. For players across the globe, this translates to 1 p.m. Eastern US time, 5 p.m. GMT, and 5 a.m. Wednesday AEDT. The Apex Legends Battle Pass rewards for Season 1 should satisfy your need for cosmetics, Apex Coins, and whatever else you desire. Expect to be unlocking weapon skins, Legend skins, as well as Legend voice clips, banners, and more. Be sure to keep it tuned to Shacknews' Apex Legends home page for more details about the Battle Pass, including tips on how to reach rewards and guides with details on how to complete the season's latest challenges.